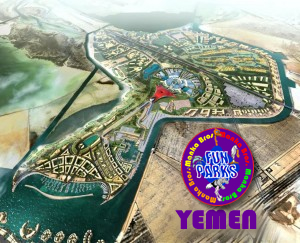 Many of you have no doubt been reading in the press about the attempted overthrow of the Yemeni President and wonder how that will affect the construction of the Manka Fun Park – Yemen – which is scheduled to open later this year. I think as long as the protesters don’t destroy any Manka Bros. property (especially the new $5 million Camel Hump Roller Terror in 3D), I’m OK with it. Getting this theme park built has been a nightmare and over the past few months we’ve really hit a lot of brick walls with the current regime and had to pay out way too many cartons of cigarettes in order to keep construction going. Perhaps new leadership on the side of the people will help expedite theme park construction. So… after much thought and despite the imploring of other studio moguls, I have made my decision: EVEN DURING THIS TIME OF REVOLUTION, THE THEME PARK CONSTRUCTION WILL CONTINUE. The people of Yemen have lived under a dictatorship for too long and deserve roller coasters and the All-New Broadway Re-Zoo starring Joey Levitch! 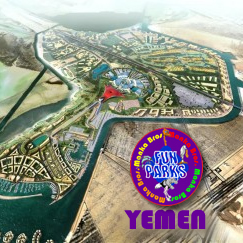 And, this is the right decision for Manka Bros. and its shareholders – because Yemen is a completely untapped market for Western-style entertainment. Bob Iger at Disney has been too busy concentrating on China and Disney Junior to realize where the real money is. Loser. We will have the Yemen market to ourselves. I together with my buddies came following the excellent guides located on your web blog while before long I got a terrible feeling I had not thanked the website owner for those secrets. Most of the ladies were as a result warmed to study all of them and have in effect really been enjoying them. Many thanks for simply being quite considerate and then for picking this form of fantastic information millions of individuals are really eager to understand about. Our own honest regret for not expressing appreciation to you earlier.